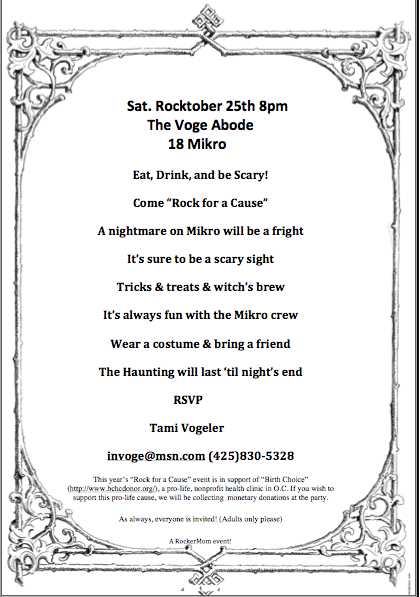 One example of our work is our "Rock for a cause event" supporting research for early detection of ovarian cancer. Over the last decade, these events have raised thousands of dollars in an effort to fight ovarian cancer. October is "Respect Life" month!